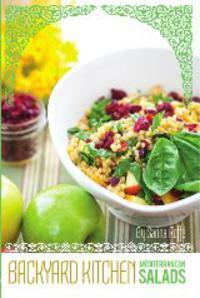 Sarina's Sephardic Cuisine - Kosher Family Recipes - I Love to Cook! I think I have always felt at home in the kitchen and seem to have a natural talent for it. From the time I was a child, being in the kitchen evoked warmth and love. It was the center of everything in our home, the place where we hung out, and chatted for hours on end. My mother, my grandmothers, my aunts, and my mother's friends were all excellent cooks. They took time to prepare plentiful balanced meals and there was always enough for leftovers. My first experience cooking was my mother's constant demand for a chopped onion, salads, squeezing lemons, and just standing by to assist with what was needed. I often sat in my grandmother's kitchen after school, watching her cook, or learning a tip here and there. Esther Salem, my grandmother, had a bustling backyard kitchen. Her helper Seluma Meneged (sp?) and her brother Joe Cohen would be there to assist, filling orders for the endless stream of customers. I think my cooking, my willingness to explore food, and the comfort I have felt in the kitchen is because of the constand exposure I had as a child to food, the kitchen and to meal preparation. With Sarina's Sephardic Cuisine, I hope that my readers and followers, and those who download the app, will come to be as comfortable as I am in the kitchen.